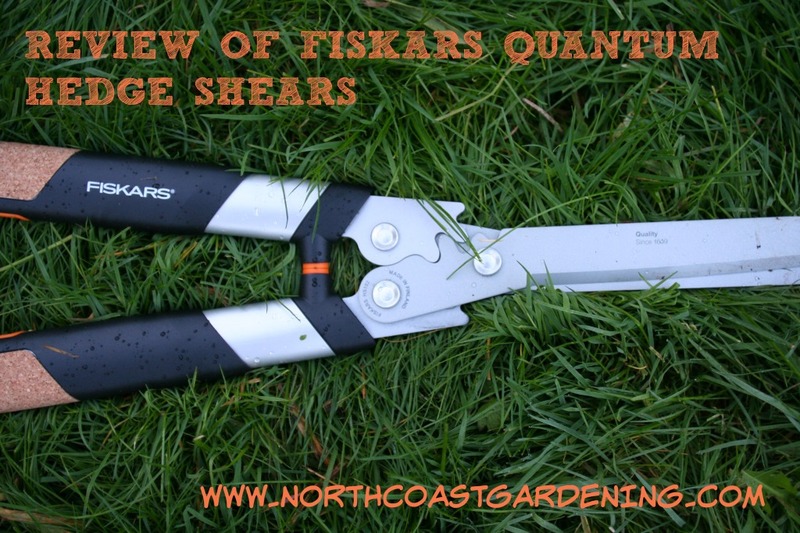 Review of Fiskars Quantum Hedge Shear: How Does it Compare to the PowerGear Model? Over many years of managing a fine landscape maintenance company – one which focuses on the pruning, training, and finer work in the garden beds rather than the mow ‘n’ blow-type service so ubiquitous in the field – I’ve developed some strong loyalties to the workhorse tools which make the day’s pruning faster, more comfortable, and let’s just admit it – more fun. Using well-designed tools turns what could be a gardening chore into an opportunity to reconnect with your body, your plants, and the natural world. Even as my roster of employees has expanded over the years, one thing hasn’t changed: everybody works with premium tools, kept in near-perfect condition. Not only does it make our work more efficient, but using ergonomic tools which reduce the force we put into repetitive tasks keeps everyone limber and ready to prune another day. I remember the first time I introduced these hedgers to one of my clients, who enjoyed the yearly task of cutting back her own ferns and small ornamental grasses. She’d been complaining about wrist and finger soreness after trimming only one small bank of ferns with her regular handheld pruners (one frond after another, after another, after another). I whipped out my PowerGear hedger and neatly zipped through one of her ferns in about 30 seconds, to her great surprise. After borrowing mine for a half hour and getting through what used to take her many afternoons of pruning, she went out the very next day and picked one up at our local nursery. Given how much I love these hedgers, I didn’t think there was much room for improvement, and I just hoped nobody in the Fiskars design studio would get any bright ideas about fixing something that wasn’t broken. Yet when I saw the new Quantum line from Fiskars earlier this year, I was intrigued. The price point is double that of my trusty PowerGear hedgers, and I wondered what they had improved about the design or construction to justify that. Given how many pair of these I purchase yearly to give to new employees, or to replace ones damaged by loss or rough use, it seemed worthwhile to give them a test. The Quantum hedger has the same powered gearing as our usual standbys, and is comparable in weight, size, and action to the PowerGear hedgers we use and love. Yet here is where the similarities end. Where the PowerGear hedgers feel like a trusty and effective tool, the Quantum line feels luxe. There’s really no other way to put it. It’s like comparing that perfectly serviceable Toyota you’ve been driving for 10 years with the latest model of Lexus. While the Lexus doesn’t take you anywhere your Toyota can’t, you feel a lot more comfortable during the drive. True to the Fiskars roots, it’s made in Finland, and it has beautiful cork handles which act as shock absorbers during pruning. The nonstick, anti-rust coating on the blades feels more buttery and smooth than the original, and the blades come together with more precision. It’s everything I love about the PowerGear model, with its awesomeness amped up to the Nth degree. Will I invest in these for every one of my employees? Nope, probably not. However, as a special recognition for crew leaders who have shown they can be trusted with a fine tool? Definitely yes. If you are a home gardener and are reasonably good about not losing your tools in the compost heap or leaving them lying about in a rainstorm, I would absolutely say that the increase in comfort and precision makes these a worthwhile investment over the PowerGear hedgers. That indefinable something that takes a tool from serviceable to stellar is evident from the first cut, and the pleasure you’ll take in cutting back perennials, ornamental grasses, ferns, heathers, lavender and more will make you eager to get out in the garden to take care of your seasonal pruning. In honor of Fiskars 365th anniversary (yes, really! They were established in 1649 as an ironworks in a small Finnish village), they are giving away 5, yes 5 pair of these premium Quantum hedgers to North Coast Gardening readers. Pretty generous, right? All you have to do to win is to leave a comment. If you’d like an extra entry, share this giveaway on Facebook, Pinterest, or Twitter and leave a second comment letting me know you did so. I will draw the five winners using random.org on Saturday, December 6, 2014 at 9 pm Pacific. US only. Good luck! Those pruners look and sound fantastic. I can hear the satisfying sound of slicing through ornamental grasses already. Love them and would love to give them a try. Those look like some tough shears. I’d love to try them out. Oh pruning shears are such workhorses and mine are woefully inadequate. Especially since we plan on placing a whole lot of hedging and ornamental grasses this coming spring. I’d put them through their paces this fall for sure! These shears are just what I need for trimming the grasses. They would be a quantum leap beyond the kitchen scissors currently at my disposal! I love my regular Fiskar’s hedgers as well. I saw these recently on Fiskar’s site and wondered what made them worth the extra cost. Now you have me drooling to try one. Fiskars Power Gear products have served me well. I’d like to try the Quantum line. Cork on the handles? Sounds like a comfortable addition. I have honestly never used Fiskars Quantum Hedge Shears………after having read up on them, I would very much like to………..even the picture screams “Quality”. Thank you for the opportunty to win a well made tool to cut down our boxwood hedge and ornamantal grasses. My husband does that type of gardening work for me and he is developing arthritis in his hands so these would make it more comfortable for him! He is a fanatic about keeping his tools in good shape!! I would be very grateful for the “opportunity to reconnect with your body, your plants, and the natural world. ” And to be able to hack back my jungle a bit more efficiently. Thank you so much. I currently have an old pair of shears that are misaligned and rusty. It’s really hard to make clean cuts on miscanthus with dull shears! I’ve been relying on loppers, which are not quite right for the job, so I’m excited about the opportunity to win some new hedge shears. I like the videos on the Amazon page of the Fiskars Quantum shears, too. 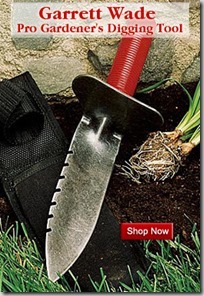 I haven’t heard the sound of shears slicing through a garden for decades. Reminds me of my Grandpa. I’d love a pair! I wear out shoulders and back every year cutting down the ornamental grasses. Would love to try this easier way. Love to have Fiskars shears to replace my dull, rusty ones! I’m sure there are others besides me who could benefit from a tutorial on maintenance: how to take apart and sharpen a pruner, shears, etc. Can you put it in your Future Bin? I would love to try these – I have smaller hands, and not-go-great hand strength, and feel like many hand tools are difficult to use. It’d be great to find some that work well! Wow, these shears sound amazing. Just reading about the cork handles and the way the blades come together makes me feel like I have to get these. I love well-made tools that significantly lighten the physical burden on my body. Thanks for putting these to the test and writing the review! Great article on this pruning tool, I always learn something from your posts. Sometime, would you talk about how you professionally maintain your tools to keep them “near perfect”. I left a comment on Facebook. Twitter, and Pinterest. Thanks for doing the giveaway. I love Fiskars! My Mother-in-Law bought me my first Fiskars shears and they are so great. Thanks for all of your great tips on gardening! I’m in the market for new shears. These sound like exactly what I would like. Put my name in the hat. Thanks for offering them. Hi the way Genevieve.writes about them I think they will do wonders to my conifer hedge. It will save me dragging yards of flex about which I have cut a couple of times.Plus they will make it a lot easier in my old age. here hoping If I am not lucky enough, Good luck to those who are. I’d love to win this pair of quality hedge shears. These look great. 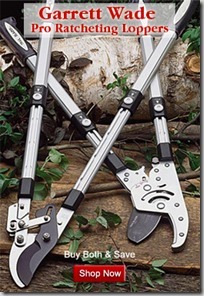 If they are anything like the power gear loppers they will be a great addition to any gardeners tool kit. I am sorely in need of new shears. These look great. Quality brand…would love to whack away with these! Genevieve, I love your posts – you write beautifully and always give great info. Thank you! It would be wonderful to have a pair of these. My hands are arthritic now, and ergonomic Fiskars are always excellent tools. I appreciate this opportunity. Also, I’d like to make contact with you, if possible. Carlin, I’d love to be in touch – email me at gen@northcoastgardening.com, or you can message me on Facebook – would love to hear what’s been going on with you! 🙂 For those looking on, Carlin was one of two landscapers who took a chance on hiring a very green, newbie Genevieve all those years ago. Carlin’s shaped me in so many ways as a gardener and a person. These look fabulous and I can think of a million ways they would help ease my work in my garden! Love to win them if possible but if not I will certainly look for them! I love Fiskars products, these sound like a great addition to my tool collection. Anything that makes my garden chores easier is a winner for me. I would LOVE a pair of your Quantum Hedge Shears! My hedge shears are very old and new ones would be heavenly. Would love a new pair of shears! great video on pruning heather. I am using hand pruners now but would love to try the hedge sheers that look like it would make the job easier and quicker. Love my Fiskar lopers. Would love shears too. Wow – Those Quantums look great and what appear to be cork inlays in the handles should provide comfort and good grip. These swollen old hands would be pleased to give the Fiskers a run round the lavender this fall and some conifers next spring! Hope you and yours have a great holiday season! Those shears look mighty fine! I would love to find these under my Christmas tree. If I post 23 times how much I would LOVE a pair of these, will that garner me a better chance at winning? 🙂 Okay, probably not. But I’d still love a pair. I love Fiskers. All my garden tools are Fiskers. They do what they say they will. Durable, last forever. I’ve had some for 15 years. Just have to sharpen them sometime . I answered the e-mail about winning. I am eagerly waiting to hear from Fiskars or get a package in the Christmas mail. Jean, in the past Fiskars has taken up to three weeks to get the winning tools to the door of the winners and with the holiday season that time may be extended just a hair. But I have just emailed today to follow up and ask about the ETA. If you don’t get your tool by January 5th can you please let me know and I can make sure to track what is going on? And I’ll post any updates here as well as soon as Hannah from Fiskars responds. They are a very reliable company so I know they want you to get your winning item safely in time for pruning season! Hannah says you should have it next week hopefully, but definitely by the end of the year. They were just shipped. It’s Here! It’s Here! The package just came. I went out and tried them despite the damp and chill and they work great, sharp and quick. I am so grateful for them. I am so glad! I adore mine and it made me look for excuses to trim things it was so much fun. I am so glad you like yours too! 🙂 Yay!